Ben: In your talk at the H+ Summit at Harvard University last June, you said the following provocative words: “Potentially, brain chips can also be designed to have consciousness inside them. Inserted into a human brain, such a conscious implant would expand the user’s conscious experience with its own contents. For this, however, a new kind of brain-machine interface should be developed that would merge consciousness in two separate systems — the chip and the brain — into single, unified one.” OK — this is pretty interesting and exciting-sounding! — but I have a few questions about it. First – just to get this out of the way — what do you mean by “consciousness” when you use that word? As you know, different researchers give the word very different meanings. me: Yep, the word “consciousness” spans a broad spectrum of meanings. I refer to the most common one, known as “phenomenal consciousness”, or “qualia” in philosophers’ language. Consciousness, in this sense, is hard to define or explain but very easy to understand. Simply put, it is the ability to experience the world around us — in pictures, sounds, smells — plus the stuff that is happening inside our brain and body — thoughts, memories, emotions and etc. Such experiments show something exists that is different from mere thinking, perceiving, learning, acting, and living — something that enables us to actually experience what is going on — i.e., consciousness. Ben: So what do you think are the ingredients that would enable a brain chip to have qualia (consciousness) inside it? Am I correct in assuming that your hypothesized brain chip is an ordinary digital computer chip? So that the consciousness inside the chip — the qualia — are achieved by appropriate programming? me: I doubt the ordinary digital computer chips would be able to perform on par with the rest of the brain, given that we need a supercomputer to emulate even a single cortical column like in the Blue Brain project. So it seems that ordinary digital chips wouldn’t integrate well into real-time conscious experience. It is more likely that a new class of information-processing hardware — neuromorphic chips — that is currently under active development, will be useful for the project. These neuromorphic chips try to mimic approaches used by biological nervous systems. Probably, they’ll be effective for recreating consciousness, too. Ben: Do you feel like you have a good subjective sense of what it would feel like to merge your brain-consciousness with a chip-consciousness in that way? Would it feel like expanding yourself to include something new? Or could it maybe feel like losing yourself and becoming something quite different? me: It depends on the implementation of the chip! For example, we can (I hope) develop a chip that would “contain” visual qualia. Being connected to the brain, such chip will feel like a third eye, expanding our visual field to include pictures from the connected camera. This camera can be attached to one’s back — providing a 360-degree panoramic worldview — or it may be connected to the Internet and project to the consciousness pictures from remote places. And implants with visual qualia will surely be helpful for blind persons, too. Ben: Do you think it would be possible to feed one person’s thoughts somehow directly into another person’s brain, via interfacing the chips installed in their respective brains? Or do you think some kind of translation or normalization layer would be required between the two people, to translate one person’s individual thought-language into the other person’s individual thought-language? me: Actually, “feeding” thoughts from one brain to another, or even “translating” them is the complete opposite of the shared-consciousness concept! Within shared consciousness we’ll be able to perceive thoughts that are going on in other brains directly, so there is no need to copy them anywhere. To explain, brain activity gives rise to unified conscious experience; but still, for this to happen, each separate neuron does not have to receive a copy of all thoughts that are being thought by all other neurons – instead, each neuron simply contributes its own part to the whole experience. The same holds when connecting minds of different people together: to bring up an experience of shared consciousness, one doesn’t require explicit transfer of thoughts from one brain to another. But what information, if not thoughts, will be transferred through the connection then? That’s one of the things we need to figure out! But, getting back to the experiential aspect — do you feel like you have a good subjective sense of what it would feel like to mentally link with other peoples’ minds in this way? Would it feel like becoming part of a greater whole, an uber-mind — or more like having other people’s thoughts flit in and out of one’s head? Or might the character of the experience depend sensitively on the details of the technical implementation? “Borg-like” consciousness This will feel like our experience, knowledge, and worldview have been tremendously expanded. We will have access to one another’s memories, feelings, and expertise, and therefore will be able to think more broadly, make better decisions, and generate better ideas. Ben: Interesting possibilities! But, I’m afraid I don’t fully understand your distinction between borg consciousness and emergent consciousness – could you clarify? me: Emergent consciousness is different from Borg consciousness because in the Borg case, the content of consciousness is expanded — we have more ideas, and more sources that generate ideas, more experience, and so on, inside our mind; but still experience is basically the same. Emergent consciousness, on the contrary, doesn’t have to share much with conscious experience that we have now, because its main substrate is not neural activity but individuals and interactions between them. As a result, the content of emergent consciousness won’t necessarily include all the ideas and experiences that individuals have, since not all these ideas end up being expressed in interactions. So the transformation will be more qualitative than quantitative. Ben: But, thinking more about emergent consciousness … do you think that would feel like a loss of free will? Or, given that “free will” is largely an illusory construct anyway (cf the experiments of Gazzaniga, Libet and so forth), do you think our brains would construct stories allowing themselves to feel like they’re “freely willing” even though the emergent consciousness is having a huge impact on their choices? Or would the illusion of free will mainly pass up to the higher-level consciousness, which would feel like IT was freely deciding things? me: Actually, ascending onto higher (emergent) levels of consciousness, if done correctly, should feel like acquiring freedom, and not illusory. Ben: Ah, well, that’s a relief! I suppose that’s why you called it the “Consciousness Singularity” (in your presentation at the H+ Summit @ Harvard)…. me: If you think about it, emergent consciousness may already exist to an extent, in places where people engage in highly interactive collective information processing (e.g. Facebook). Remember that experiments provide evidence for existence of collective, or emergent (produced by interactions between members) intelligence within groups. And this intelligence does not require wiring brains together — language is enough to establish the necessary brain-to-brain interactions. The same can hold for consciousness — any group of people engaged in collective activities can produce this next level of consciousness as a result of their interactions. Ben: Right – these are examples of emergent consciousness, but they’re fairly limited. And when the phenomenon gets massively more powerful due to being leveraged by brain-computer interfaces and neural implants rather than just web pages and mobile phones and so forth then you get the Emergent Consciousness Singularity! me: Yes – and if you think about it, the Consciousness Singularity, is indeed the ultimate liberation of the immortal human soul! In our present state our freedom is very constrained by the society we live in. Engaging in social interactions always applies some constraints on our freedom, often very significant ones. Belonging to society makes us obey various laws and traditions — for example, not too long ago every woman had to be a housewife, and alternate careers were prohibited. Most women had nothing to do but submit to the constraint. However, the society itself as a whole was still “thinking” — in form of political debates and revolutions — on the topic of women rights, and finally got to the conclusion that set the women free. You see, individual women were not free to decide their career for themselves, due to social pressure; but society as a whole is free to think and make decisions on what it would want to look like. Hence, emergent consciousness has more freedom because it has nobody else around to set rules and constraints. Ben: Until the emergent uber-mind makes contact with the other, alien emergent consciousnesses, I suppose … then you’ll have society all over again! But of course — then the various emergent consciousnesses could merge into an even bigger emergent consciousness! Ben: Well, you’ve also mentioned a connection between emergent consciousness and immortality, right? me: Exactly! If new technologies will enable us to somehow rise to this higher level of (emergent) consciousness, then we’ll ultimately become not only much more free, but essentially immortal, as a bonus. We will live as long as society exists. Just like replacing individual neurons in our brain doesn’t affect our existence as a whole, similarly we won’t be affected by the mortality of individuals anymore. One may think that we’ll lose ourselves in that process, but losing yourself is a necessary feature of any transformation — including such everyday activities as learning, training, acquiring new experience, and so on. And, in case of emergent consciousness, we’ll still have our old self as a part of our new self, for some time. Ben: Hmmm – yeah, about “losing ourselves.” You say “we” will become almost immortal in this process. It seems clear that something that had its origin in human beings will become almost immortal, in this eventuality. But let’s say you and me and a few dozen or billion of our best friends merge into an emergent meta-mind with its own higher level consciousness. The immortality of this meta-mind won’t really be much like immortality of you or me personally, will it? Because what will be immortal will NOT be our individual selves, not the “Alexandra” or “Ben” constructs that control our brains at the moment. Although in a sense our personal streams of qualia might still exist, as threads woven into a much greater stream of qualia associated with the meta-mind…. So I wonder about your use of the pronoun “we” in the above. Do you really feel like this would be “your” immortality? me: Sure it will be mine, but “me” will be transformed at that point — I won’t be the same “me” as before. And you and your friends, too — we all will transform from being separate entities into one big single entity. So it’ll be everyone’s immortality – just in case you were worried about other people being left out! Ben: Well, I’m certainly convinced these would be interesting eventualities! I’m not quite convinced that it would be a transformed “me” living on in this sort of emergent consciousness, as opposed to some sort of descendant of “me.” But actually we don’t even have a good language to discuss these points. So maybe this is a good time to bring the conversation back toward the practical. I wonder — in terms of practical R&D work going on today, what strikes you as most promising in terms of eventually providing a practical basis for achieving your long term goals? me: I can tell you which research areas I consider the most promising in terms of providing the sufficient theoretical basis that should be obtained before we can move onto practical developments. These research areas are complex systems science, network science and connectomics (e.g. the Human Connectome Project).Research in these areas will help us understand how to engineer a neural implant that will integrate itself successfully within a complex network of neurons; how the neural implant can fit well within the complex, self-organizing system that is the brain; and how separate, autonomous neural networks such as brains of different people can be wired together so that they will work as a system with single, unified consciousness. Ben: Definitely an understanding of complex networks will help a lot, and may even be critical. But what about the hardware and wetware aspect? How do you think the brain-computer interfacing will actually work, when your ideas are finally realized? 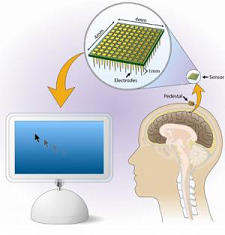 A chip literally implanted into the brain, with the capability for neural connections to re-wire themselves to adapt to the chip’s presence and link into the chip’s connectors? me: It’s not easy to talk in concrete details about the future given that some new technology that changes everything can emerge anytime. But I’m happy to share a few guesses. A common guess is that some technology will be invented that will enable machines to communicate wirelessly and simultaneously with a vast number of single neurons (and their synapses) in the brain. Such technology will be a kind of ultimate solution for the BMI problem and will be useful for consciousness-expanding endeavors too. Then, we won’t even need to implant anything — just wearing a special cap will be enough. But I doubt something like that will be invented in near future. My guess is that novel brain-machine interface designs that are applicable to my consciousness-expanding project will emerge from synthetic biology. Neural implants won’t be silicon-based microprocessors like we have now — rather, they will be completely novel artificially-designed biological machines. Neural implants made of biological substrate will integrate easily into surrounding network of biological neurons. And by applying synthetic biology tools to this substrate, we’ll be able to engineer those functions that we need our implant to implement. We’ll be able to tinker with the substrate so it will perform faster and better than analogous biological processors (like brains) designed by nature. And we’ll be able to make this substrate compatible with classical silicon-based hardware. Such a neural implant may be used as an autonomous brain-enhancer — or may serve as an intermediate layer between brain and computers, being compatible with each of them! Ben: Hmmm…. I’m wondering now about the interface between the implant device and the brain. Do you think you could just insert an implant, and let the brain figure out how to interact with it? Or will we need to understand the precise means via which intelligence emerges from neural wiring, in order to make a richly functional BCI device? me: I think it will be a compromise solution. New solutions for brain-machine interfacing will take advantage of innate brain capabilities for learning, plasticity, and self-organization. But for this, new BMI devices have to be designed in a much more brain-friendly way than now, and this will require better understanding of the brain itself. Probably, we won’t need a complete description of how neural wiring result in intelligence and consciousness — but some understanding of this process will be a necessary prerequisite for good BMI designs. 4 Responses to "Collective Consciousness : implications for Immortality and Spiritual Freedom"
Alexandra asserts that her project is aimed to a widening human consciousness with brain-machine interfaces for those to permit to feel (to be aware?) what is going on inside both the machine and the minds of other connected people. At that “brain chips can also be designed to have consciousness inside them”. I am trying to look at this project idea from point of view how many it may be corresponding the main civilization challenge turned to people being able to think over current private life problems. Let’s call such the people an experts community. The challenge is to assist saving the civilization what is ending (as having inherent systemic contradictions not combined with its existence) or even if extending its existence. My position (sorry, not too optimistic) on the question is expounded in http://uladzimir.bravehost.com/civ_secure.html and http://uladzimir.bravehost.com/betise.html. So, there are 2 alternative: roughly speaking “to use chips” or “to change the mind”. But those alternatives are not of kind “or that or this”. Moreover, those may develop mutually helping each other. Really, it appears to be obvious that one mastered with panoramic thinking will be more skillful to effectively use “conscious interface”. On the contrary, the very one’s repeated attempts to use an AI interface should assist for one’s thinking to be more panoramic. The right way to think more panoramically is deemed to be as well the work with flicking images. Really, to have learned to memorize them and then “read” means to widen our consciousness at the expense of subconscious as expanded field of vision is in positive correlation with expanded field of consciousness and ergo panoramic thinking. From this point of view, the effect it’d be better to call not “unconscious priming” but “subconscious priming”. At the existing lever of panoramic thinking mastered, individual character of creativity allows for some experts to unite only into any “intellectual clusters”, each of which gathers “people of single thought shared”, at best of single worldview. 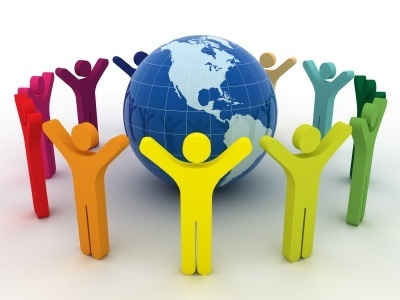 To unite for discussing and global problems solving is impossible now and in the nearest perspective. It is why of especial interest is the effect of “emergent”, or “higher-level” consciousness described when brain-machine interfacing used to unite brains physically. I have only ironic attitude to individual immortality taking into consideration a strong doubt said out whether for our civilization 22nd century will come. 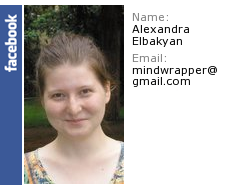 Nevertheless I’d want to support Alexandra thought on “changed with neuronal implants individuality”: identifying old self and new self is possible owing enormous information volume of self-identified subconscious to be in paltry manner touched by BMI. It is as if to fill you are today wiser than yesterday; nevertheless with no doubt you identify yourself with the same person. So, with BMI, we should not be losing but “gaining” ourselves.